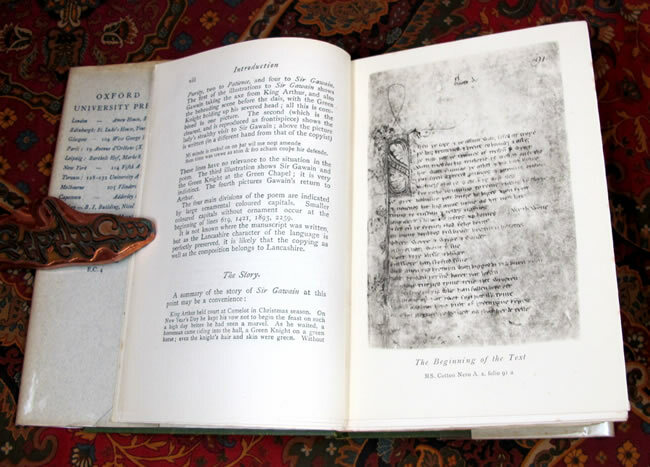 One of the first Tolkien related books published, with J.R.R. 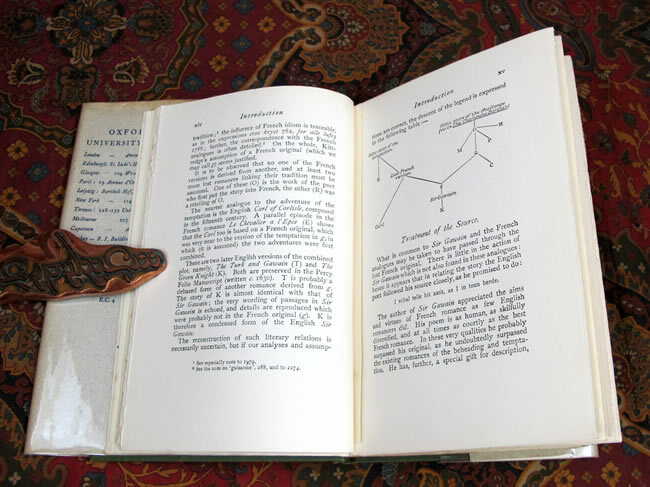 Tolkien contributing to the preface. 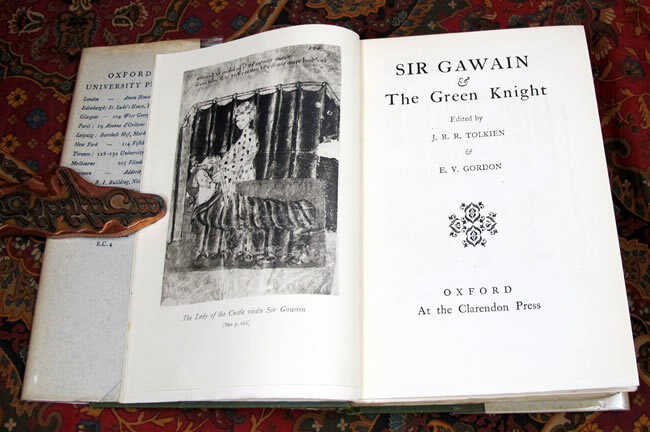 Sir Gawain & The Green Knight, edited by J.R.R. Tolkien & E.V. Gordon. 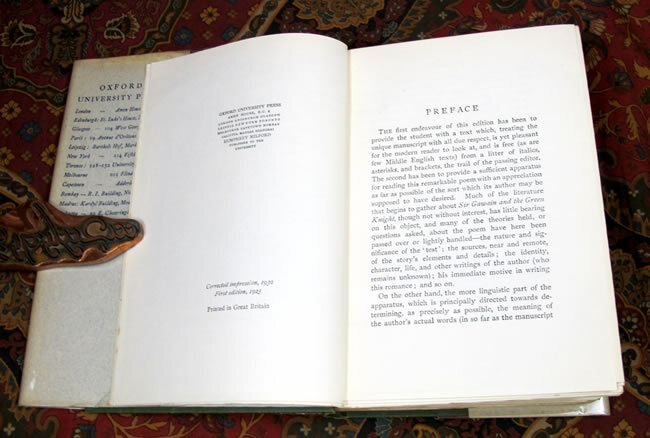 Published by the Clarendon Press in 1930, this is the 2nd printing of this book, or the 1st impression of the second edition. 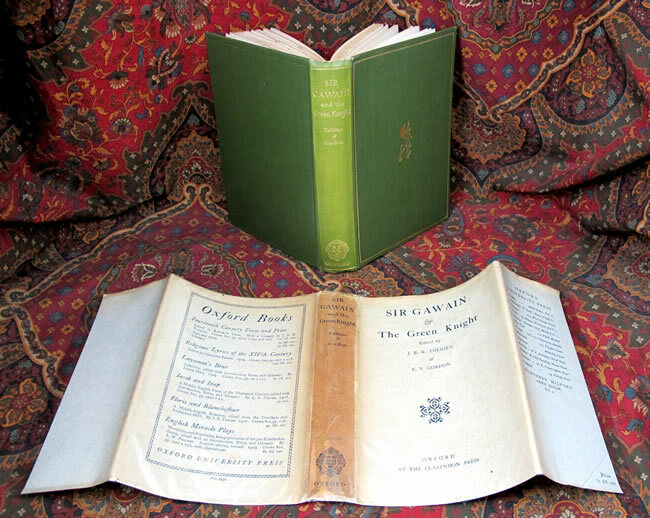 Most of these books are well used student copies, whereas this copy is unmarked and even more unusual, it is still housed in it's original Very Good Plus dustjacket. Some light offsetting to the free endpapers, but no foxing to the textblock. Some light fading to the green cloth spine, but the gilt stamping remains clean and bright. 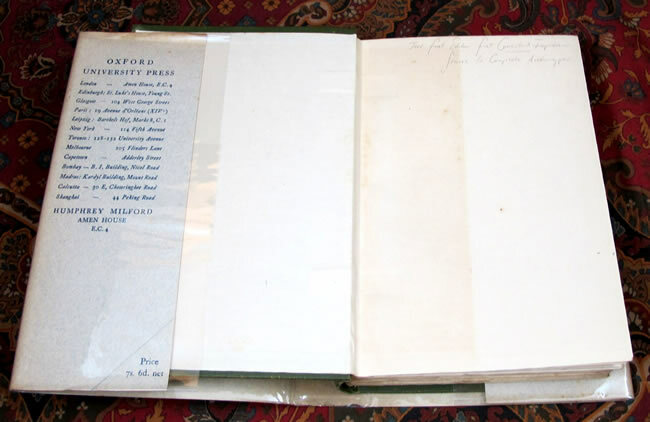 The dustjacket has no loss at the corners or the flap folds. 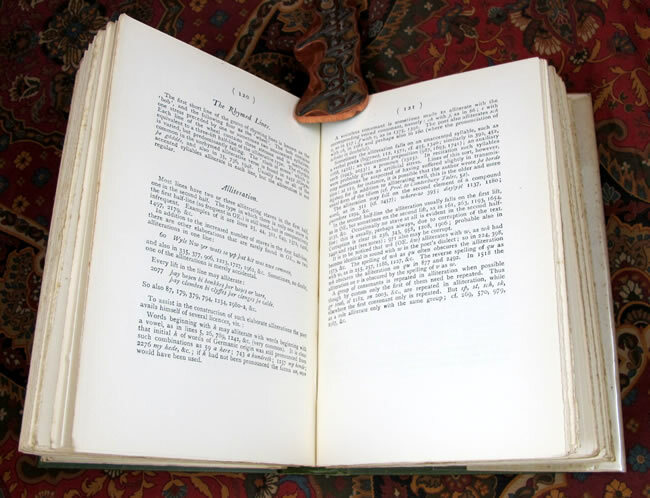 While the tips of the spine has some minor edgewear and wrinkling. 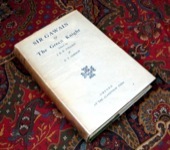 The dustjacket has some tanning to the spine and browning around the edges. The dustjacket is not price clipped, shows the '7s. 6d. net'. 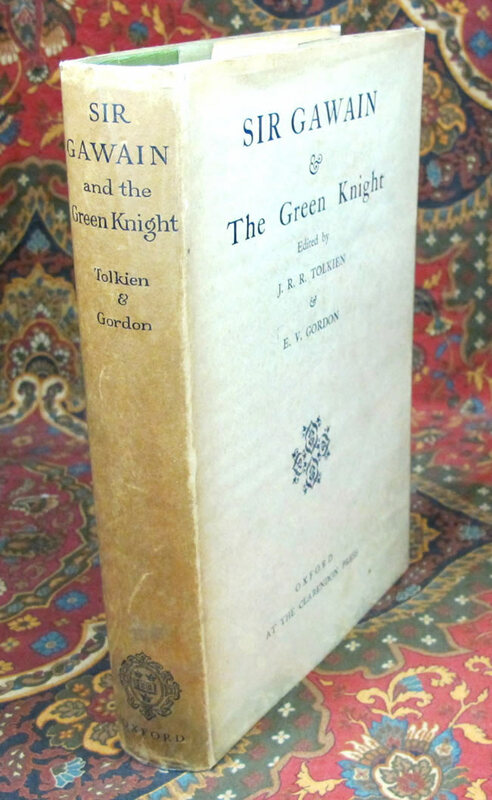 A very nice collectable copy for the Tolkien enthusiast, quite scarce in this desirable condition.